I love reading about the grace of God. It is mysterious and encouraging. We are a sinful people and God did not have to extend grace to us — but He did. We should never lose sight of how abundant this grace is. 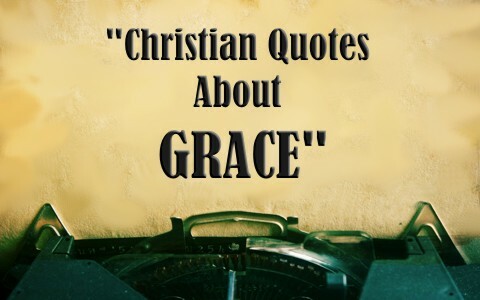 Take a look at some inspiring Christian quotes about grace that I have found. I just had to share them! Grace is something to sing about. It is necessary for life. It changes our outlook and it is powerful. But the greatest thing about grace is that it is absolutely free! Previous post: Who Was The Angel Of The Lord?